Social Media Marketing (SMM) has quickly evolved from a “buzz” word into a substantial part of every marketing strategy. Social media marketing is powerful, precise and cost-effective. After all, your target audience is on Social media networks, and this is where you should engage them. Everybody is on social networks, your customers included. Put your business in a position to connect and interact with them, and continue the conversation already going online. Social media campaigns are extremely targetd, great for brand recognition, loyalty and authority, increased inbound traffic, conversions and even help with search engine ranking. Social media marketing is probably the most cost-efficient part of any marketing strategy. Creating a profile, posting and sharing is free on most social networks, and paid promotions are finely targeted, yet relatively low cost compared to other marketing channels. Our dedicated team will help create engaging content, ready to fuel social media conversations and interact with your audience, while boosting your fan base, followers and social sharing. 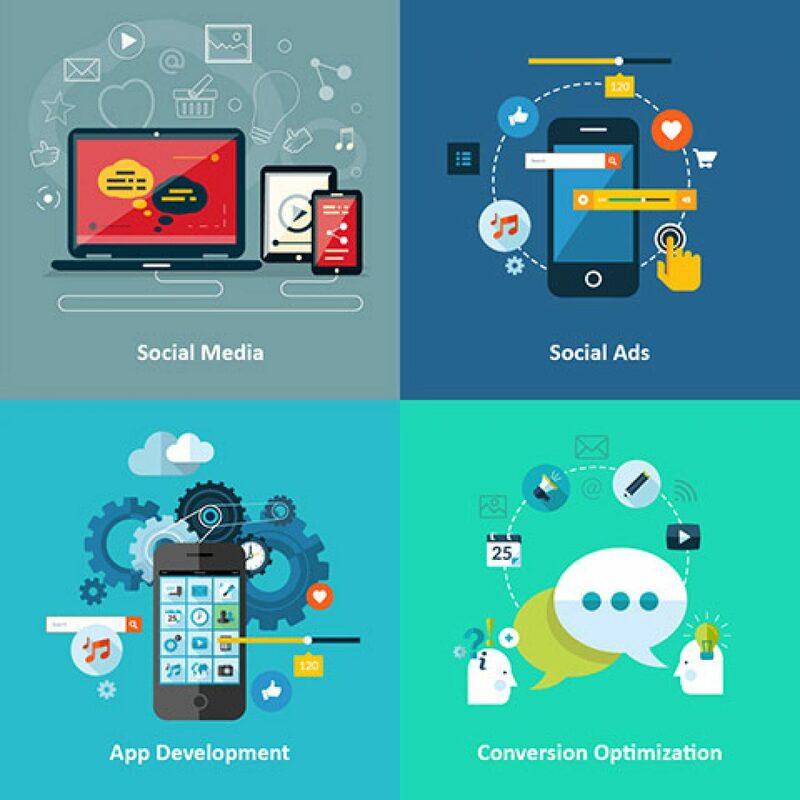 Smart social media strategies also include paid campaigns, which help delivering your social content and promotions to your target audience at the right time, when they are ready to interact and engage. Social media is also an important part in organic search engine optimization, as search engines incorporate social signals, comments and sharing into their search ranking algorithm. Social media marketing is not just getting more “likes”. When done right, it actually brings in new traffic, leads and sales. Let our team of experts manage your social accounts, engage and interact with your audience. Strategy & Planning: Don’t know where to start? We will help you research the social landscape in your market, outline the opportunities and recommend specific actions. Competitive Analysis: Researching and identifying your competitors’ tactics and participation in social media networks. Learn from their hard work what venues and channel may benefit your social media strategy. Social Profile Setup: Identifying the social networks you should be present on, designing and developing custom branded pages for Facebook, Youtube, Twitter, Pinterest, Google+ and more. Social Content: Researching and creating content and updates that enrich your social pages, create real interest and steer the social conversation. Graphics and Widgets: Enriching your social media pages with custom graphics, icons, badges and widgets that will position your business as and industry authority. Social Engagement: Interacting and engaging with your target audience, enriching customer experience through sharing, commenting, posting images and videos, and participating in the social conversation. Social PPC: Setting up and managing social media ads, paid inclusion and sponsored content. Social advertising will improve your online presence, expand your brand awareness and increase user engagement on social media platforms. Analysis and Reporting: Our social media reporting, analysis and insights will help you gain valuable information and understand your social metrics, identify trends and inclinations in the market and position your business accordingly. Need an experienced team to manage your social media presence?